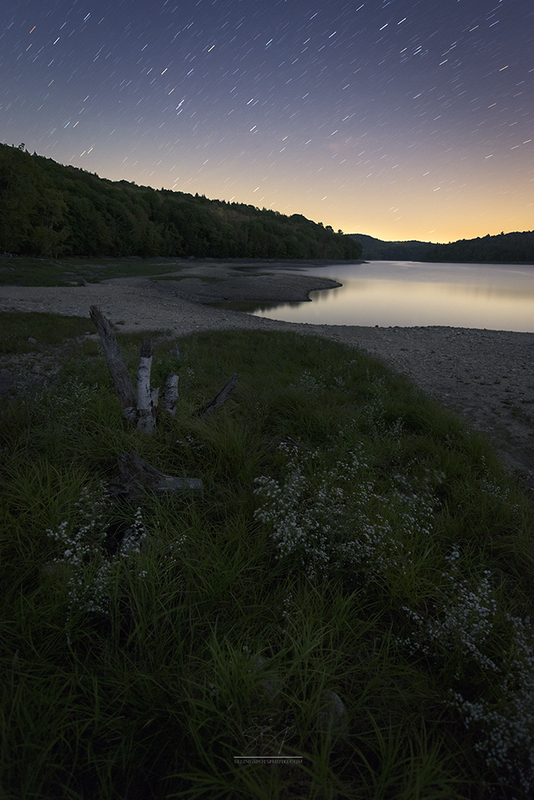 This was taken in lower VT, and is the first night sky photography trip that I brought the dogs along for. I wasn’t sure if they would be good, to be honest, but they surprised me by being patient and well mannered to whole night (which is quite an accomplishment for the younger dog). The only time they started growling was after everyone else had left, and something big started moving in the woods behind us. It didn’t take long for whatever it was to move along. For those of you looking to learn a bit more about star trails, you can check out my article in Light & Landscape (Issue 31), or wait for the upcoming book on night sky photography! 🙂 Want to know more about that? Sign up for my newsletter, and follow me on social media for the latest updates.